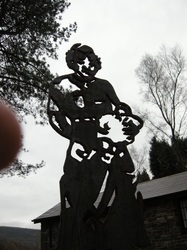 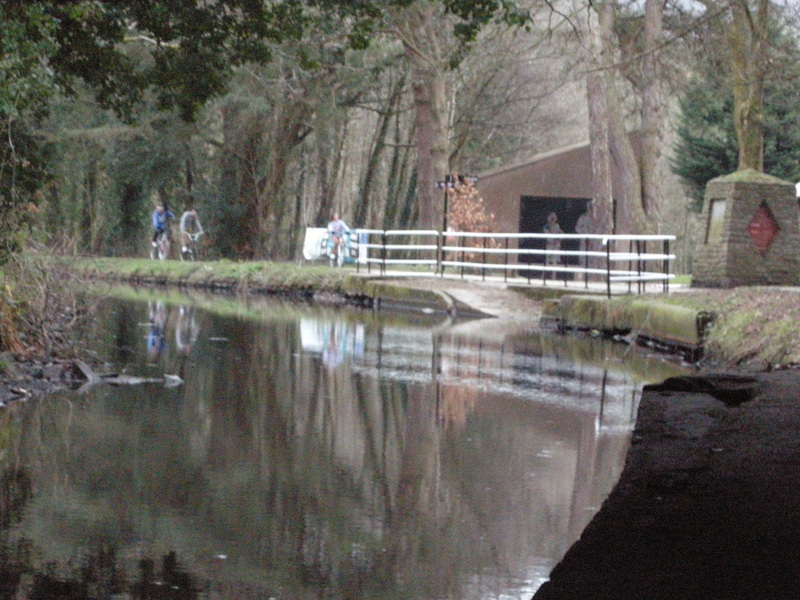 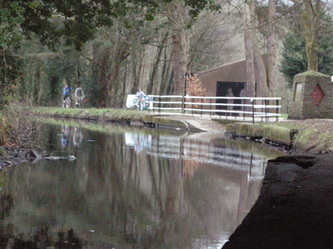 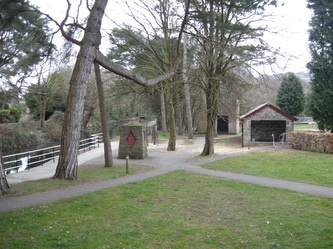 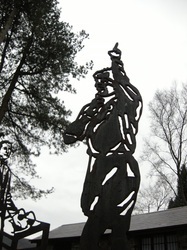 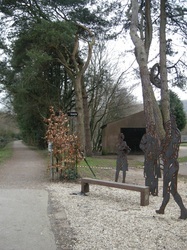 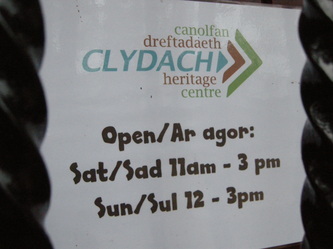 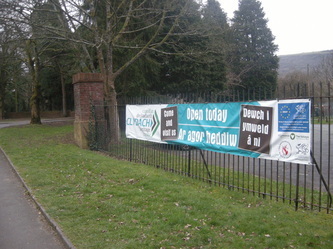 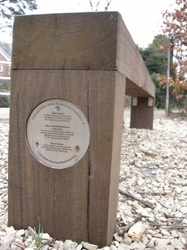 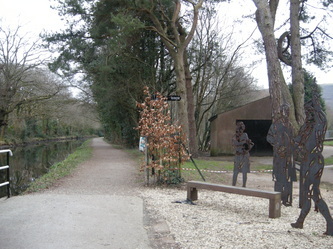 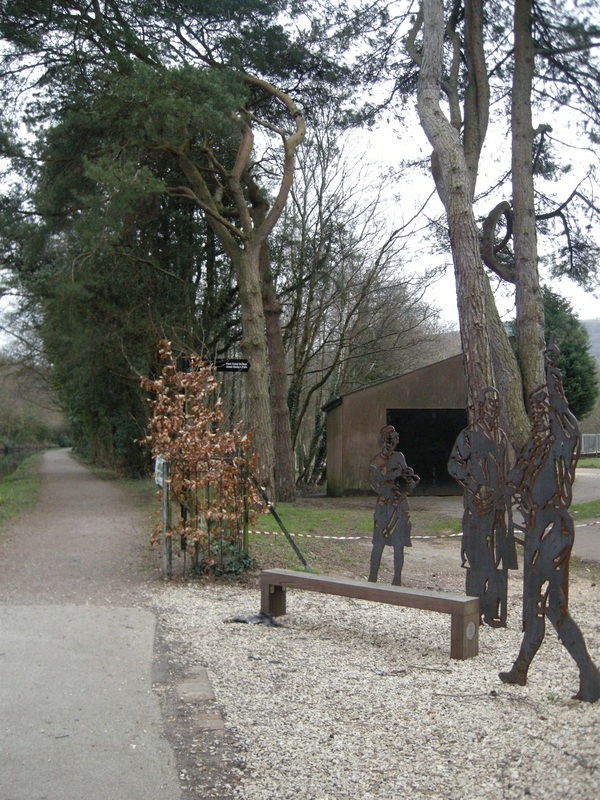 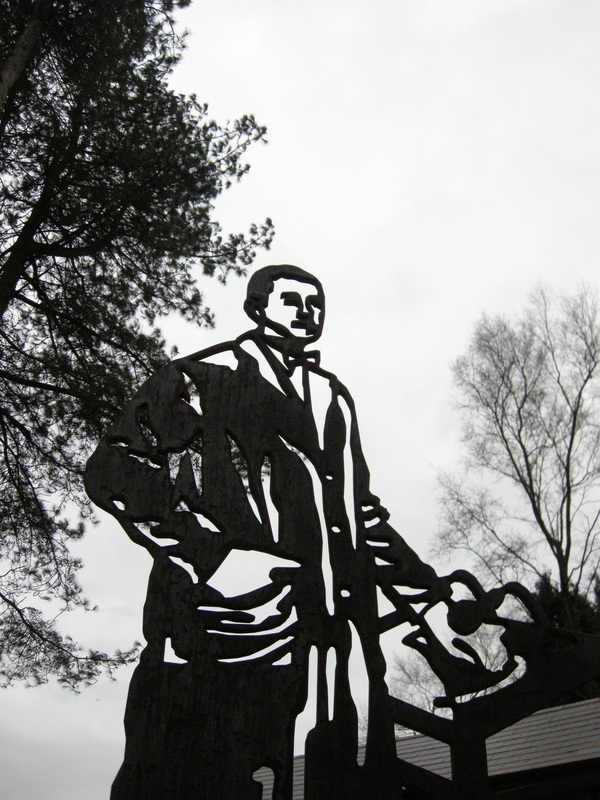 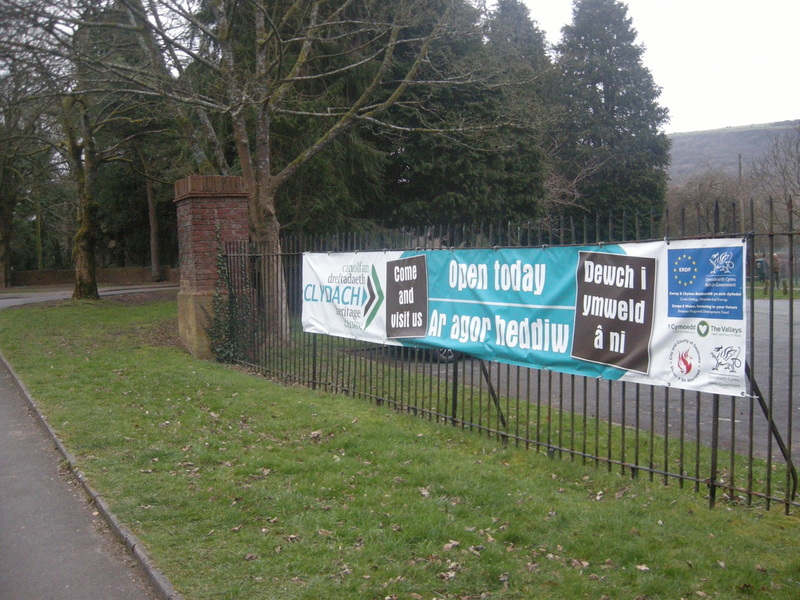 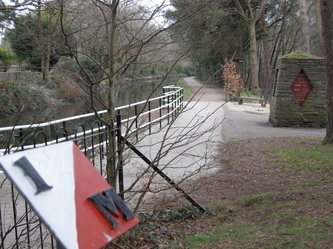 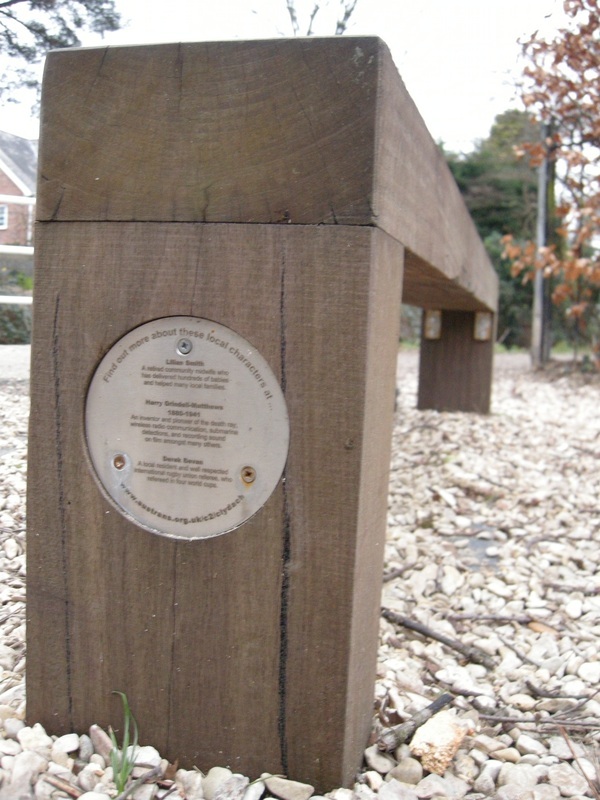 ...situated within Swansea's Coed Gwylim Park alongside the Swansea Canal. 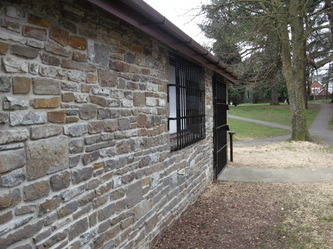 ...FORMS PART OF OUR BUILDING. 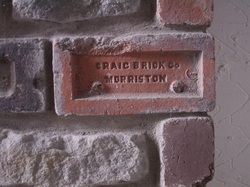 This brick collection was assembled by a local amateur historian between 1982 and 1993. 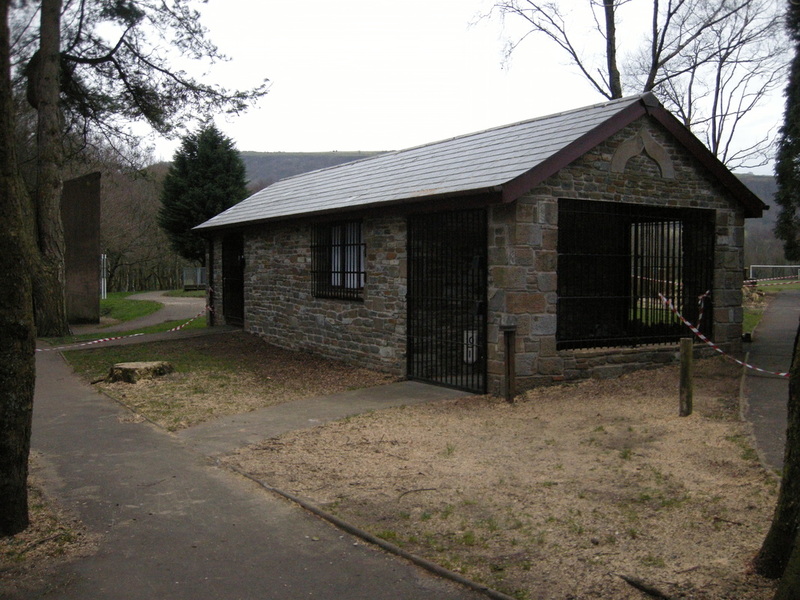 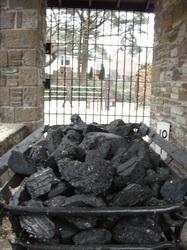 It represents a small part of the large number of brickworks that operated in South Wales in the late 19th century and early 20th centuries. Approximately 400 such works operated in Wales in that period. This collection covers the area between Newport in the east, (Star bricks), and Kidwelly in the west, with the majority of bricks coming from the Swansea region. 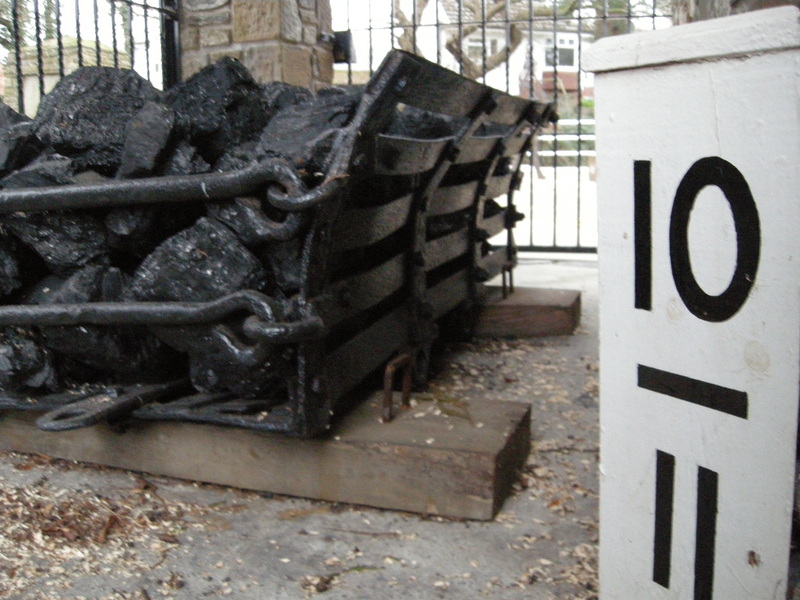 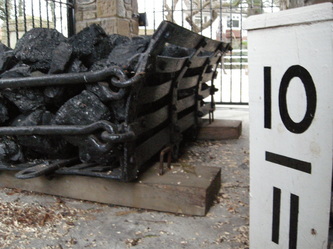 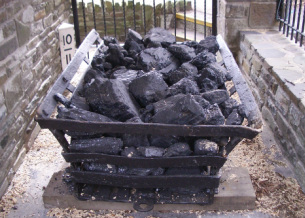 Drams (Iron wagons) filled with coal or stone were taken to the canal on tram-roads for off-loading into canal boats/barges. 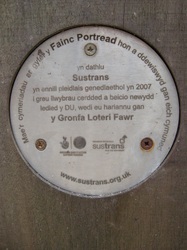 Drams similar to this 1860 example were used in the Clydach area. 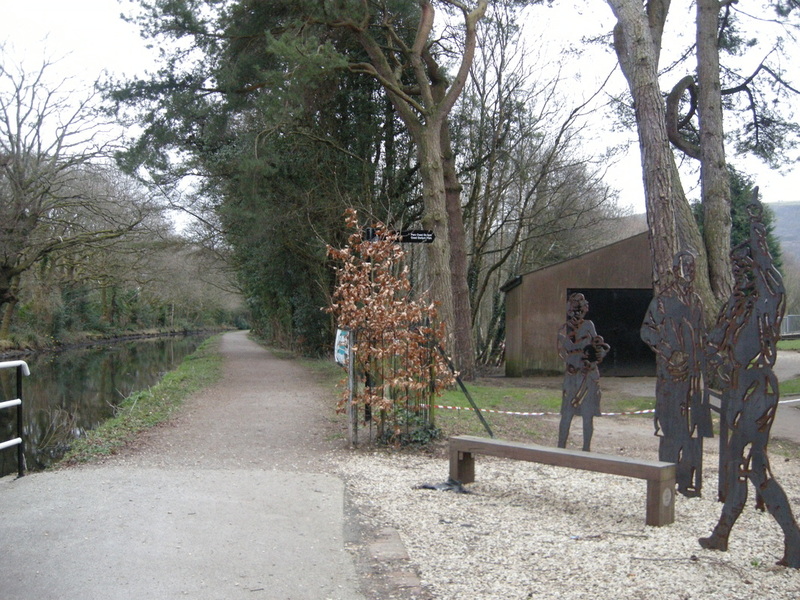 Canal barges in the wharf (an area on the water's edge for loading and unloading boats) were filled with coal from drams from Graigola (Southern) Colliery (1800-1860) to go down to the dockyards at Swansea. The remains of the retaining wall of a tram road can clearly be seen beneath a large tree on the golf course on the curve of the Swansea Canal 400 metres north of this building by the 14th Tee. 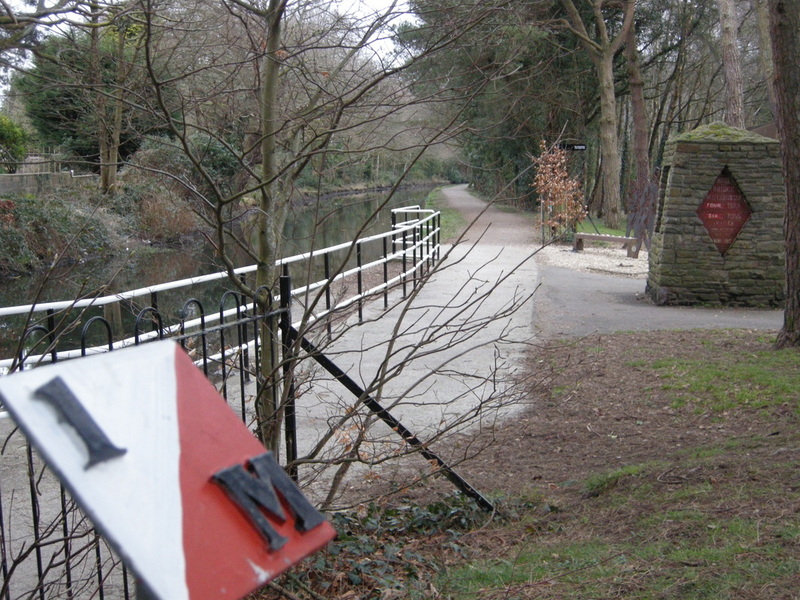 The railway crossed a narrow stream on a tall bridge (the remains of the abutments can be seen beyond the 13th Green) before running south-east across the flood plain on an embankment and then crossing the River Tawe to the Colliery.